Since we are on a dock with only one other boat, have power, and are within a stone's throw of town, we decided to spend another night here. Probably not a good idea, since I went to some of the upscale (pricey) stores and spent more money. Today we opted to have all meals on the boat. (There is a walk-up food stand here that specializes in French fries so Ron had a mid-day snack of these paper bag delicacies). 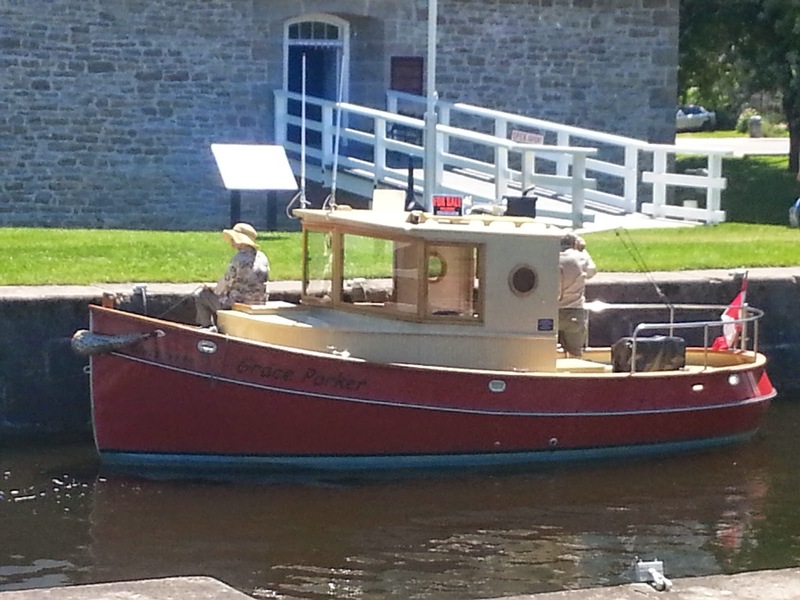 A unique boat came through the lock today. It was a home-made trawler but very small. The couple on it said it took him 2500 hours to build it and it is now for sale. 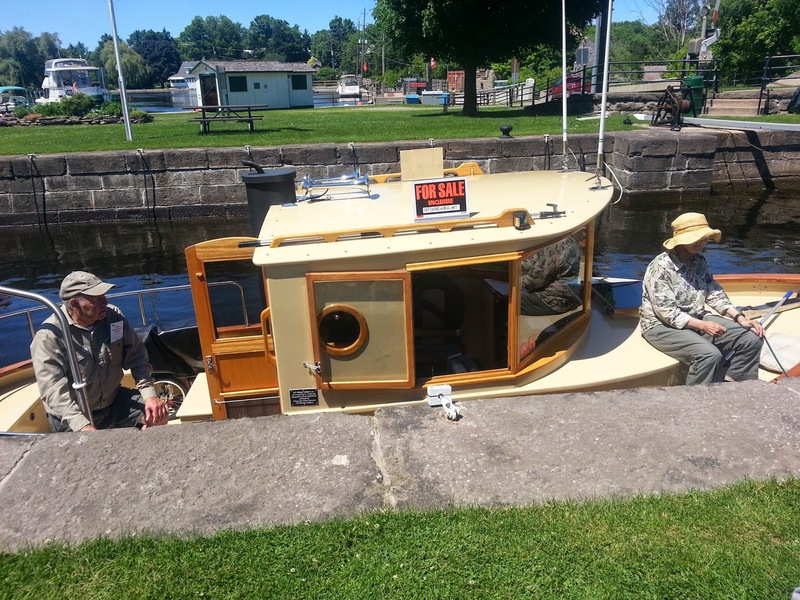 The houseboat that we saw yesterday came through the lock again going back toward Smiths Falls where it had been rented. Ron was able to get the Elizabeth, NJ native's name (Walt Varran). Walt graduated from 8th grade at St. Catherine's (Hillside) in the mid-50s and then moved to Leonardo. Ron graduated from St. Hedwig's in 1961 so they didn't know any of the same people. The weather here is beautiful. Clear skies, low humidity and temps in the 70s.